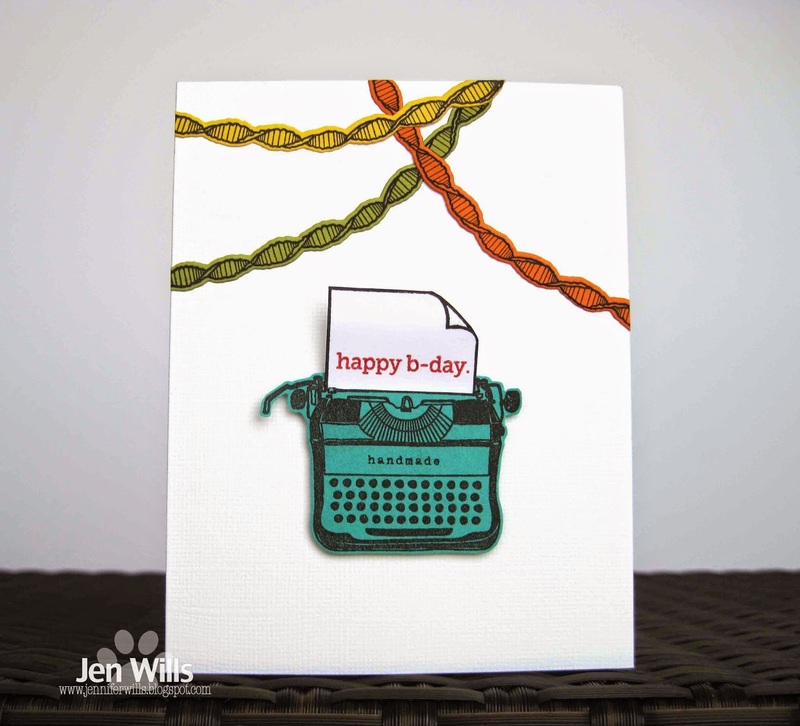 CUTE card Jen, love the typewriter!! The typewriter is such a perfect image Jen! The streamers are the perfect touch! Love the typewriter! I do like how the streamers are a little reminiscent of typewriter ribbons, too! Fun card, Jen. Super cute. LOVE the colors are all so FUN!!! Sweet typewriter! Jen, brilliant to use a typewriter! (Why didn't I think of that? I have a great typewriter stamp, too!) I love the colorful streamers, they are the perfect finishing touch. A fun happy birthday card! Jen your card is always different than other DT member at CASology and I always love to see it...agree with Judy that sreamers is a great finishing touch and looks like it is a fun bday card..and I love the colors you have choosen...ADORABLE CAS card Jen...you always amaze me.. Awesome card - love the streamers and the fantastic typewriter!! 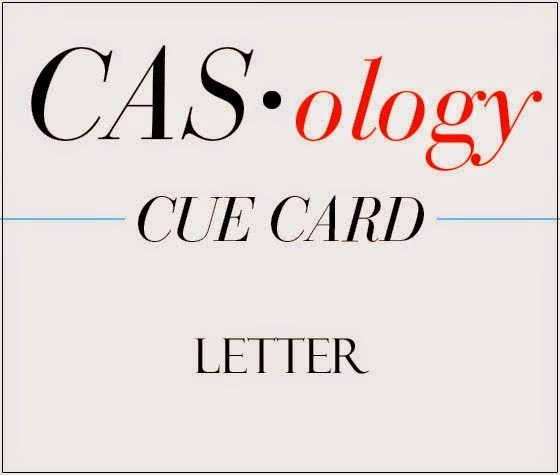 Perfect color choices and creativity make this a super cool CAS card!! This is just darling. I love that typewriter, and you are right that those streamers tie everything together and make the card so festive, too.